The governorship candidate of the Peoples Democratic Party (PDP), Mr Jimi Agbaje, on Saturday said he was concerned about the malfunctioning of the card readers during voting at his polling unit in Apapa. The PDP candidate spoke with newsmen after he and his wife, Biola, voted at polling unit 004,Ward A, Liverpool, Apapa around 11.20a.m. 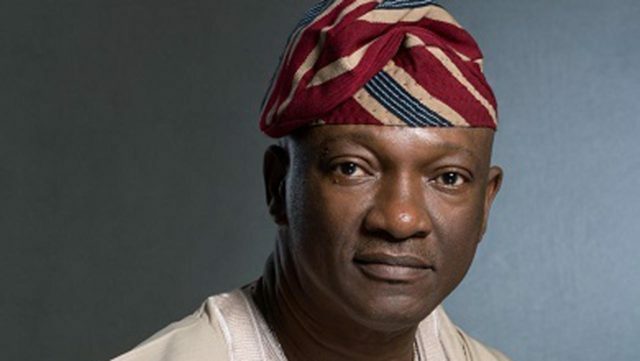 The News Agency of Nigeria (NAN) reports that the card reader had rejected Agbaje’s fingerprints, that of his wife and those of three other voters. They, however, eventually voted after their names and photographs were verified manually on the voter register. The PDP candidate said cases of malfunction of card readers were not good for the credibility of elections. He pointed out that manual verification of voters was susceptible to electoral fraud and unscrupulous elements could capitalise on it to compromise results. The PDP candidate said that the country should have gone beyond cases of failed card readers to achieve seamless voting. “Coming to my polling unit, I am concerned that the card readers are not working; the five, six of us, that came to vote before and after me, the card reader wasn’t working. “And that opens room to all kinds of insinuations, all kinds of mischief and for me, when you get a situation where you have to bypass the card reader, that means we haven’t gotten it right. “It means it is now open to all kinds of human manipulation because if a card reader doesn’t work, one can collude with one or two officials there, and with the wrong information, I will bypass the system. “That is the issue, because there is no room in that place for the agents to confirm that the person whose card did not work for the card reader is the owner of that card. So, games can be played,” he said. On his assessment of the process generally in the state, he said the election had been fine, except in one or two places. Agbaje praised residents for going out to vote, despite the disappointment of polls postponement to choose their leaders. He said polls postponement was wrong and should not feature in the country’s political life. The PDP candidate said he was more than confident that the party’s presidential candidate, Alhaji Atiku Abubakar would emerge victorious in the election. NAN reports that there was an impressive turnout of voters at the polling unit, with many of them voting seamlessly.